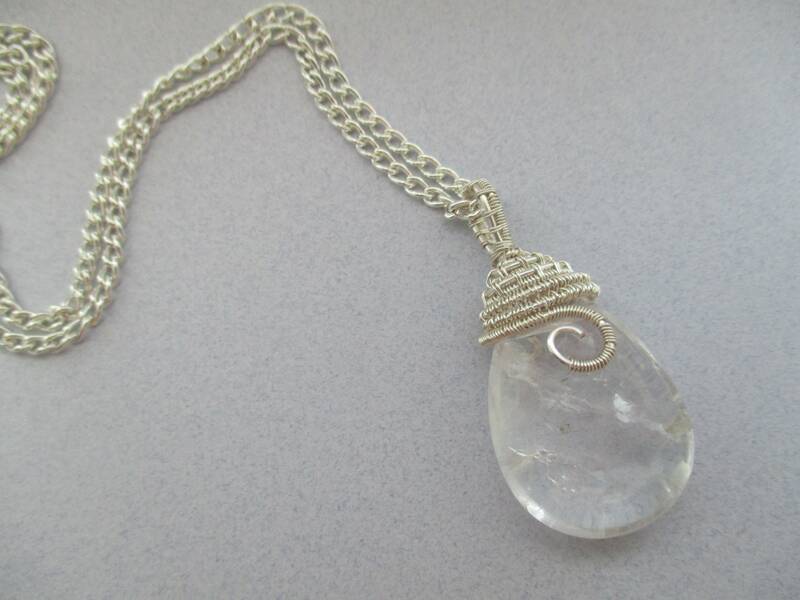 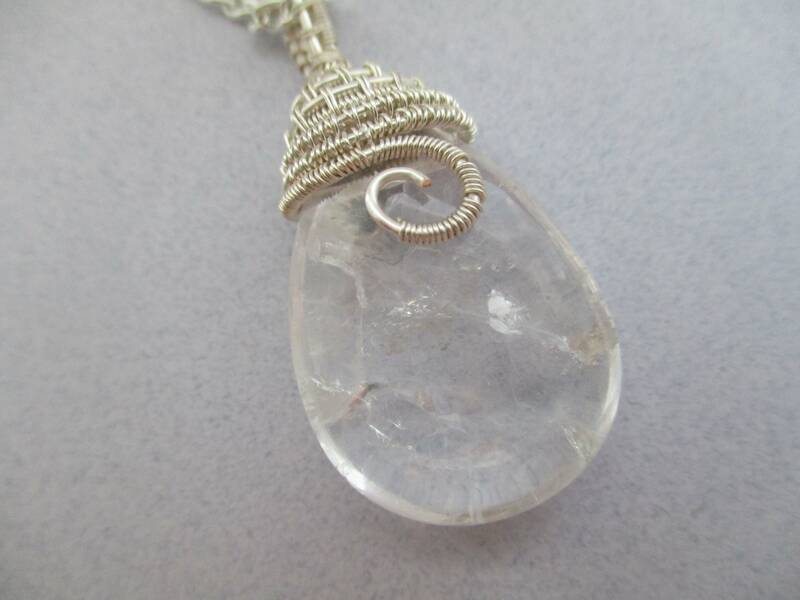 This crystal quartz briolette is 35mm x 23mm (1 1/4" x 1") and is wrapped using anti-tarnish artistic silver plated wire. 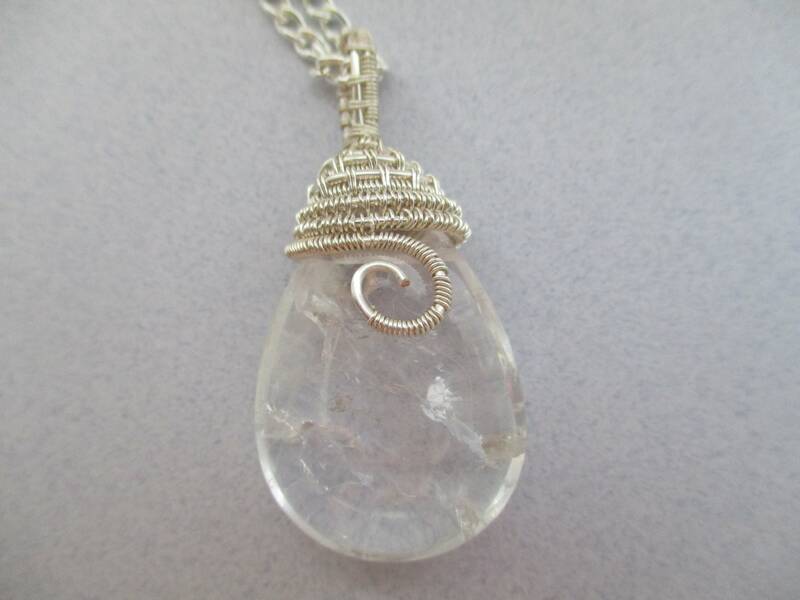 You can choose the length of the chain in the drop down field above. 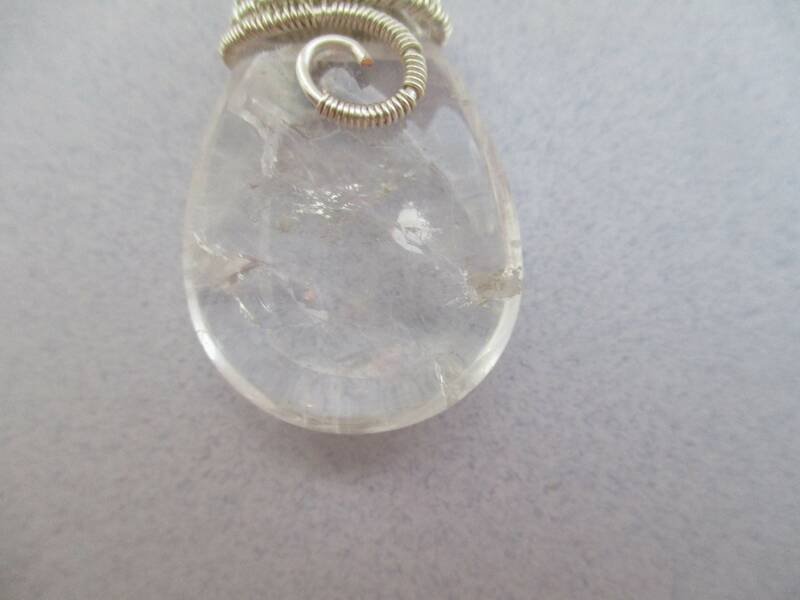 A 2" (5cm) extension is also available.